To shield the leftovers, freshly brought edibles and drinks against spoilage, kitchen pests, and other impurities, a refrigerator is a must. Indeed, even to imagine life without a fridge in the kitchen is quite hard. 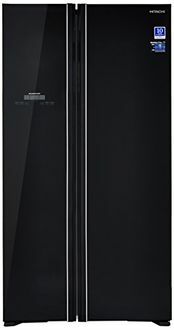 Some brands offer top-notch quality refrigerators packed with oodles of features under INR 1,00,000. These refrigerators are marked with 3 to 5 stars ratings which mean they don't consume a lot of electricity. Broadly classified under Side by Side and Double Doors refrigerators, they boast features such as frost free defrosting type, deodorizer, tempered glass shelves, express freezing, etc. With their capacity ranging approximately from 580 Liters to a whopping 670 Liters, they offer enough room to all ingredients and delicacies. Apart from being spacious, they also feature advanced inverter technology which tags them as the energy efficient appliances. 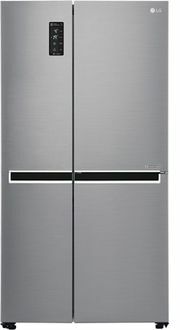 Find below the 36 refrigerators with their prices updated on 18th April 2019. 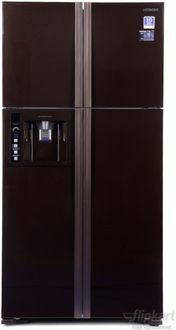 These competitively priced refrigerators are offered by some of the prominent brands, for instance, LG, Godrej, Samsung, Hitachi, Panasonic, Kelvinator, Whirlpool, etc. Consume fresh and stay healthy by introducing your place the latest refrigerator that has a price tag of less than INR 1,00,000. 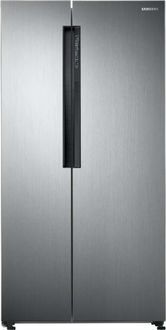 Let it flaunt essential energy efficient as well as the other convenient features. 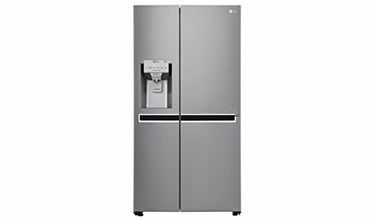 However, ensure that before you purchase the fridge online, you compare its price available on eminent e-portals such as Flipkart, Amazon, Croma, Tata Cliq, Infibeam, etc. 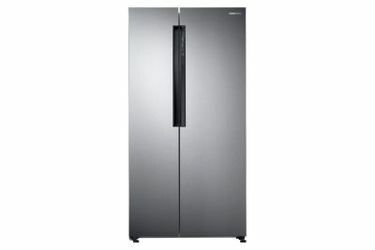 Compare the discounts or any other promotional offers on these portals to procure the refrigerator at the lowest price.